LEADING short term lender, Bridging Finance Limited, is expanding its offering by opening a London office. The firm is cementing its credentials with a new base in the capital, to complement its head office in Manchester. Property finance expert, Phil Mabb, has been appointed to head up the London outfit as corporate development manager. Phil joins Bridging Finance having had more than 14 years of experience providing finance solutions for property professionals. 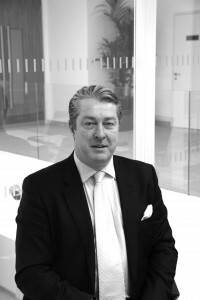 He has an extensive knowledge of the London property market, specialising in alternative funding for development and refurbishment projects and schemes. Chris Baguley, managing director of Bridging Finance, said: “The London economy is booming and developers and professionals want to work with a lender who moves quickly, provides flexible funding solutions and has access to significant funds. We are the perfect fit for these individuals and businesses, so having a London office will mean we are at hand to assist on deals and quick transactions. Bridging Finance increased its volume of lending in January 2014 by 250 per cent in comparison to January 2013. In 2013 Bridging Finance’s parent company, Jerrold Holdings, announced it had increased its funding capacity by more than £200 million. This investment will support Bridging Finance’s growth over the next 12 months. The new Bridging Finance office is located on 68 Lombard Street in the heart of the City of London financial district. Bridging Finance Limited supplies bridging loans for residential, commercial, semi commercial and land purchases or for capital raising against existing property. It works with the professional sector and their clients to offer flexible 12 month terms with no minimum period.